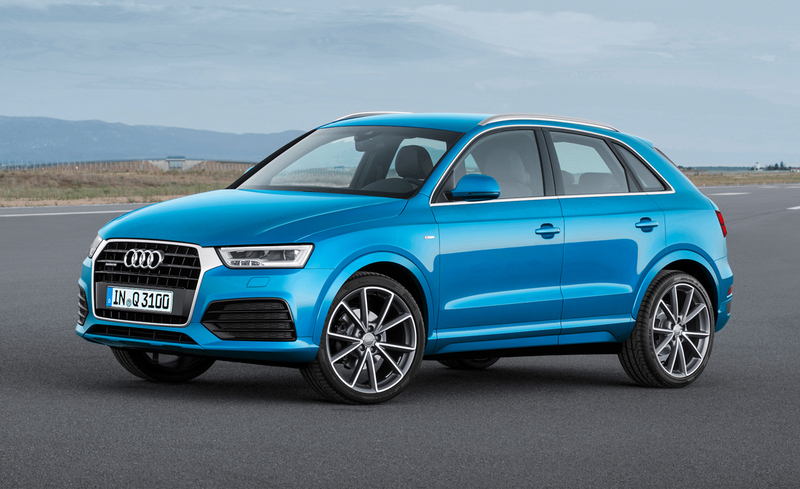 Finally Audi has launched its Q3 sub-compact crossover in the United States of America last fall, but in other part of world the vehicle is available since 2011. That is the reason an updated version is introduced in some part of the market and now finally a refreshed Q3 has made its debut in U.S. The new crossover is modified with dynamic turn signals and a new rear diffuser. Just at a glance it is easy to recognize the 2016 Q3 features new single frame three dimensional grille with an aluminum like surround, modeified bumpers, and refreshed head and taillight with LED accents. Also an updated version includes new alloy wheel designs and revised Powertrain offering. From the inside there is very few changes, including new luggage compartment. But surprisingly company has featured it new MMI infotainment interface in 2016 Q3. It is included with the same MMI navigation plus that does without new system’s touchpad and improved control interface. Audi has declined to release U.S. Specs but it is expected that the new model will be offered in six different turbocharged four cylinder engines. The range topping high performance RS Q3 includes 2.5 liter turbocharged five cylinder engine which is capable of developing 340 PS and 450 NM of torque but the company still hasn’t confirmed whether the U.S. Will be receiving RS Q3. The most significant changes is the addition of 7 speed S tronic dual clutch transmission, previously they were using 6 speed auto. The new Q3 will be on sale from next month at a price tag of $35,000 but the U.S. Launch is yet to be announced.